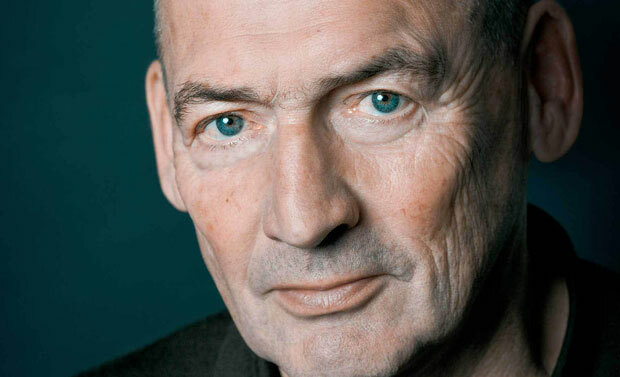 Rem Koolhaas, the literary architect, was born on November 17, 1944 in Rotterdam, Netherlands. Koolhaas inherited his love for literature from his father and started his professional life as a writer. He initiated the career as a journalist and later on turned into a movie writer. While pursuing the profession of a writer his attention diverted to architecture and he got enrolled at the Architectural Association School of Architecture in London in 1968 and completed his degree from Cornell University later in 1972. Right after the graduation a new life experience knocked at his door and he got the Harkness Fellowship for travel and research in the United States. This experience gave him the opportunity to write his book, “Delirious New York – A Retroactive Manifesto for Manhattan“, even before starting his practical work. In this way Koolhaas gathered fame as a theorist even before getting famous as an architect. It is said that this book was the first reflection of modernist approach of Rem Koolhaas. In 1975 by Koolhaas founded Office for Metropolitan Architecture (OMA) in collaboration with Madelon Vriesendorm, Elia and Zoe Zenghelis. Initially Koolhaas worked more on theoretical and conceptual levels thus leading to various uncompleted projects. The company got a break after winning a competition for an addition to the Parliament in The Hague and also landed a project in Amsterdam for the development of a housing quarter master plan. From here on his work started attaining execution and he scored several successful projects on his credit. Koolhaas worked in a unique way dismissing all older methods of design and construction. He had this aim to explore solutions to architectural problems of modern times with equally modern technological ways, equipped with smarter use of materials. Although he adopted all modern means to build and design including the aid of electronic billboards, all of his work goes in perfect accordance with the demands and needs of his clients and all sites he worked on. The peculiar specialities evident in his work are unanticipated outburst of colors, asymmetry and laborious search for unexplored spatial dimensions. These traits won him the title of “deconstructivist” by critics, but unlike conventional deconstructivists of time his work always had this thorough thought process at the back. He has always shown a deep concern for the betterment of living styles and standards with the help of architecture. This personal interest caused a natural bend towards urban planning and he bestowed architecture with such contributions of which master plan for a new city centre in Lille, France is one fine example. Along with all this, Koolhaas proved to be a great author and theorist. His book Delirious New York was republished in 1994 under the title Rem Koolhaas and the Place of Modern Architecture. Another major contribution in this regard is the architectural novel “S,M,L,XL” which comprises of photos, plans, fiction, cartoons and random thoughts of Rem Koolhaas’s different projects. He also taught at Harvard University and received Pritzker Architecture Prize, the highest award of the field in 2000 and was even entitled as “the prophet of a new modern architecture” by the president of foundation.